St Mark’s Institute for Bowel Disease is the initiative of a highly committed team of medical and non-medical experts, working in partnership with leading business professionals who are dedicated to making the vision of improved bowel health a reality. 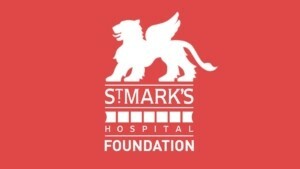 I took over the Chairmanship of St Mark’s Hospital Foundation in December 2017 and one of my first actions was to carry out a strategic review of all areas of the Foundation together with my fellow trustees . People Business had been HR advisers to the Foundation for a number of years so I made contact with Natalie to seek advice on a number of HR matters. Over the course of the summer Natalie was an invaluable source of HR advice . She was pragmatic and sensible with her advice given the Foundation is not a large organisation and she was always responsive to queries despite her part time working schedule . Based on my experience I would recommend highly Natalie and People Business to other organisations similar to the Foundation looking for HR advice.